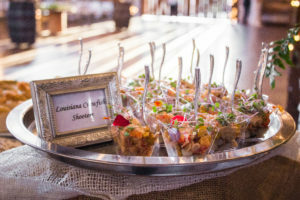 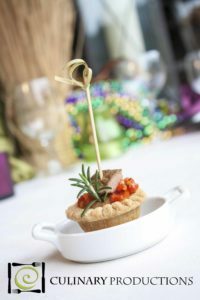 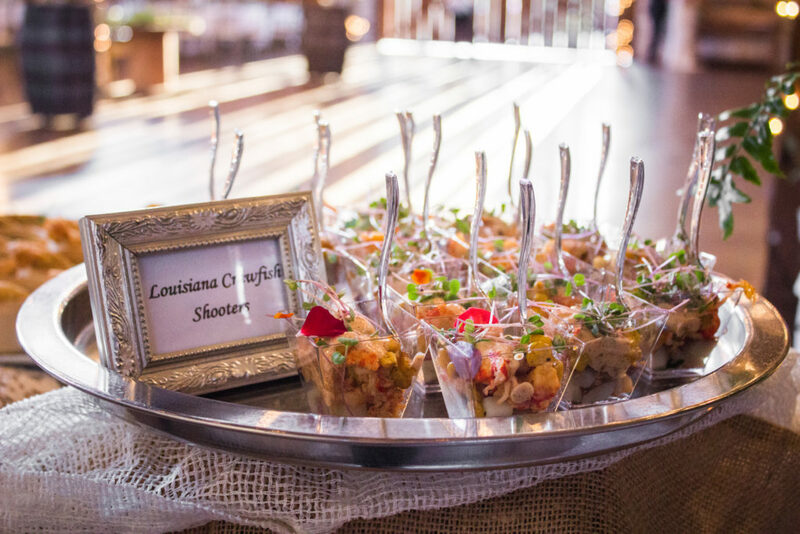 Wedding Catering Company serving the Baton Rouge area since 2001. Weddings are always a very special event, and many times the first experience a bride-to-be has planning such an intricate event. 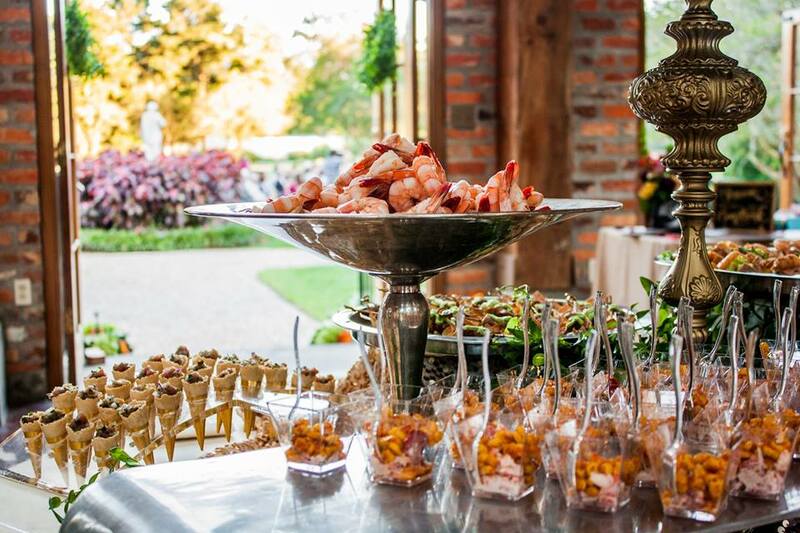 Culinary Productions prides itself on making the reception aspect of planning a stress free enjoyable experience. 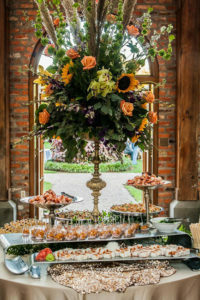 Each Bride meets with our Catering Director, to fully express her vision, to discuss the budgetary constraints and expectations, unique to this very personal occasion. 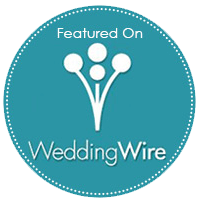 Every Wedding is managed by the Director, who ensures the proper execution of all vendors involved. 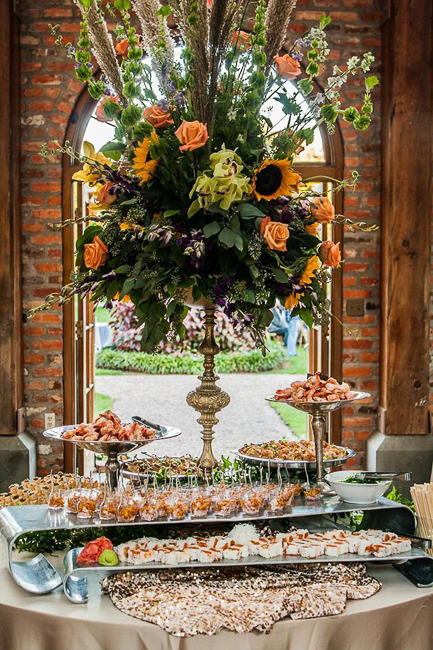 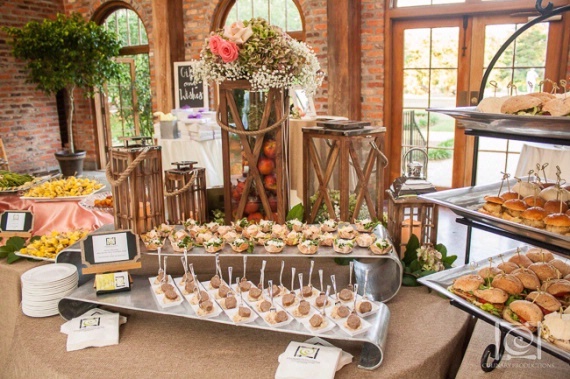 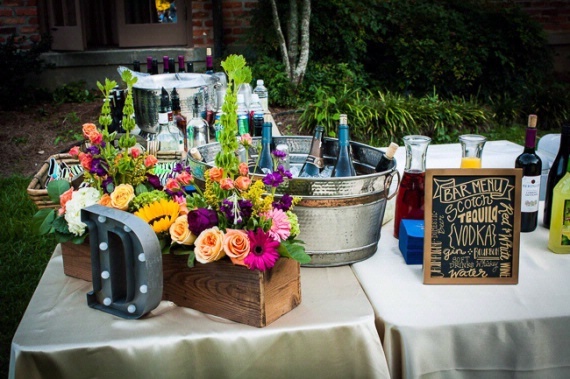 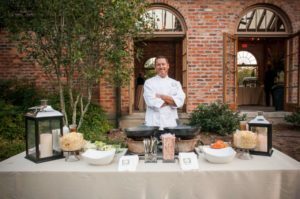 Whether a small romantic intimate backyard reception or a spectacular event for hundreds, a menu is designed for each couple, utilizing their personality and taste. 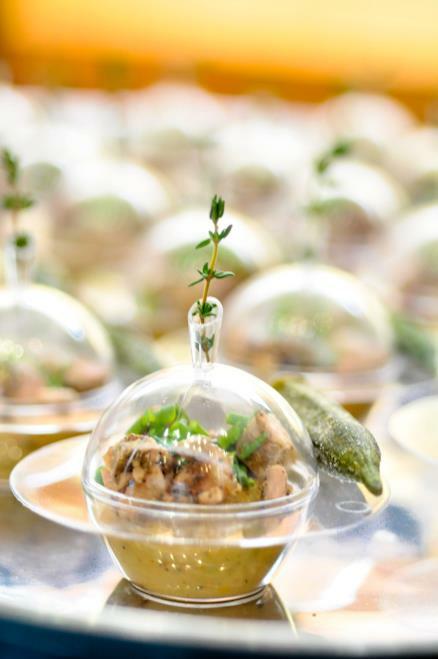 Culinary Productions is well known for their edible artwork and uncompromising attention to detail, working beautiful presentations into any style menu. All aspects, of the reception, are available through Culinary Productions, by request. 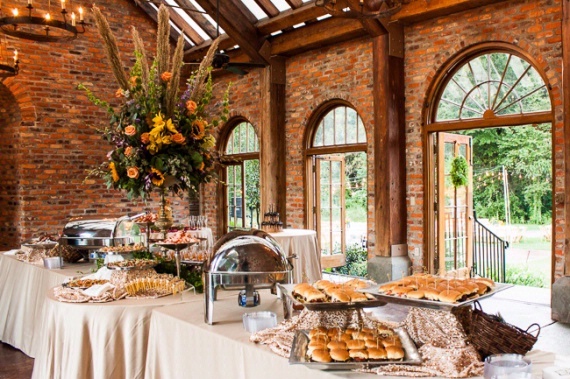 Tables, chairs, linens, tents, china & glassware are available for rental, as well. We have worked with the most reputable vendors in the area, and will gladly assist in securing their additional services. 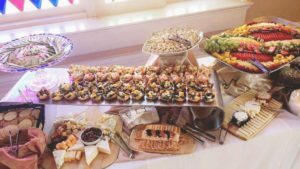 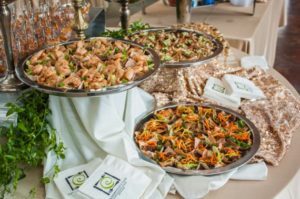 Culinary Productions is a state licensed Catering Company and is able to provide all Beverage and Bar needs desired by the couple. 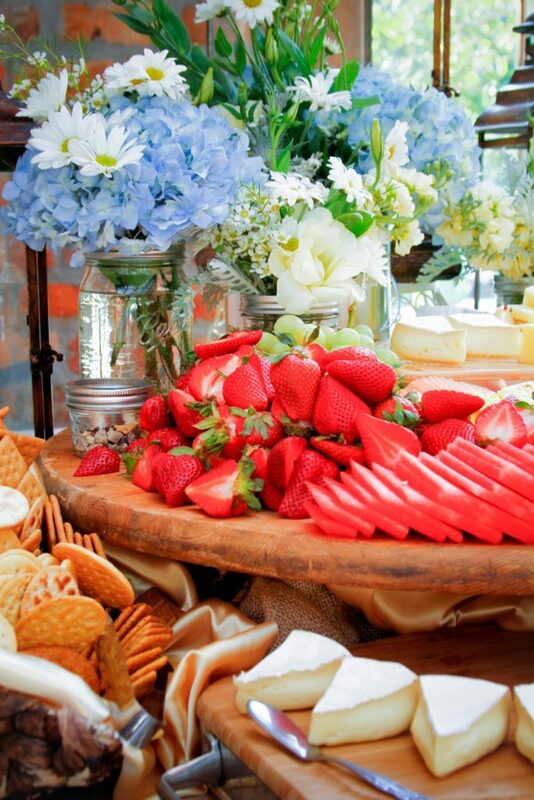 We are honored to be part of your special day! 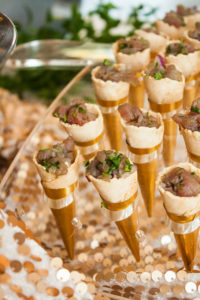 Culinary Productions will design a menu especially for your occasion. Following are sample menus we've created in the past for our satisfied brides. 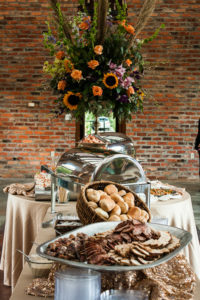 Image gallery featuring images from various wedding catering projects. 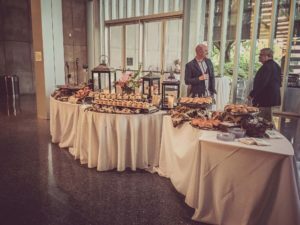 "We never were asked to select items from a list." 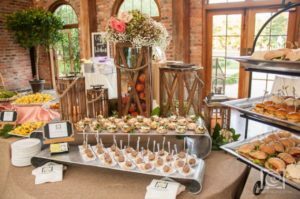 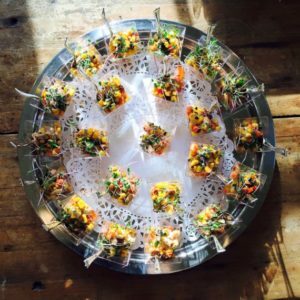 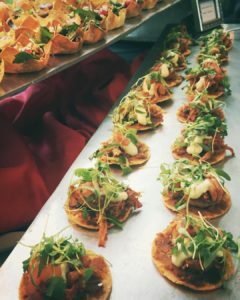 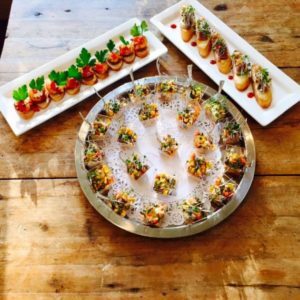 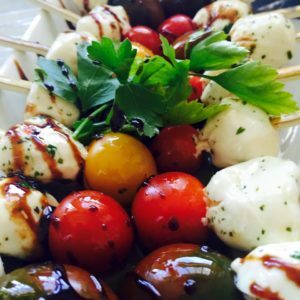 "My husband and I used Culinary Production for our wedding reception, and from start to finish, they were fabulous to work with! 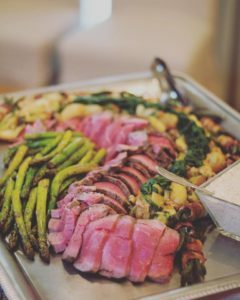 We never were asked to select items from a list, but we were able to create our menu from scratch, with helpful input from the staff. 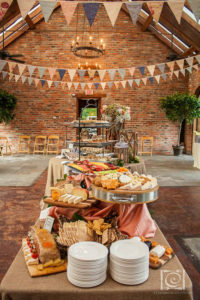 They took the time to find out what we really liked to eat and suggested items we might like. It was easier to plan than I could have imagined. 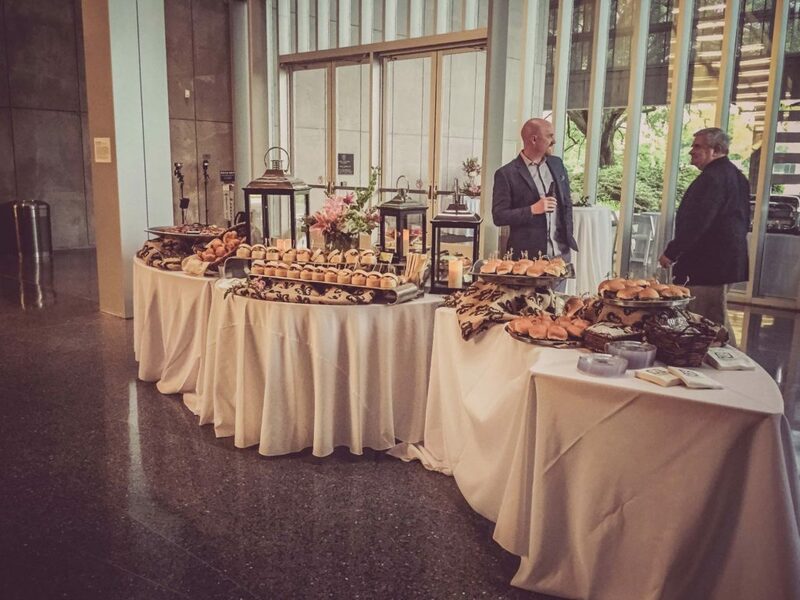 And on the night of the event, everything was set up so beautifully. We must have had half our guests come up to us during our reception to tell us how wonderful the food was! People still comment about it when talking about our wedding reception. 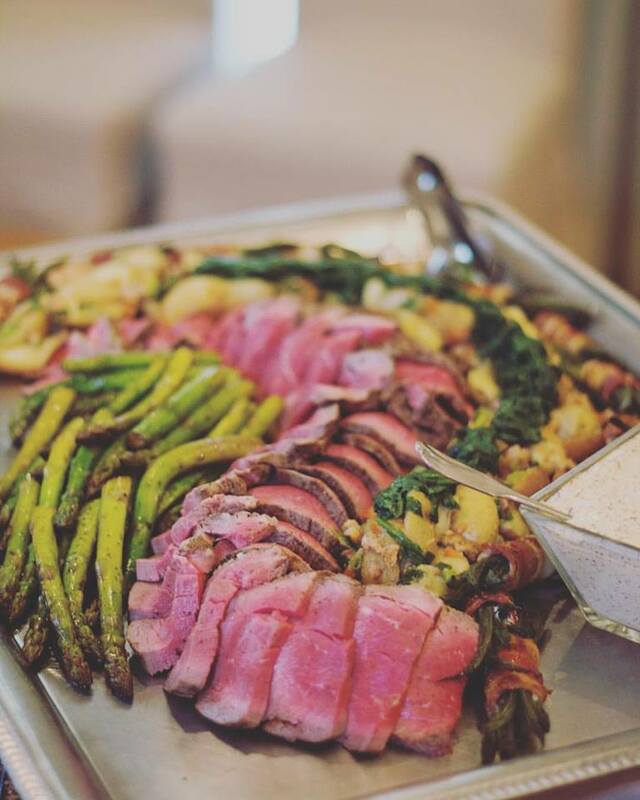 William is an excellent chef, and the food that Culinary Productions creates will truly make your event stand out. 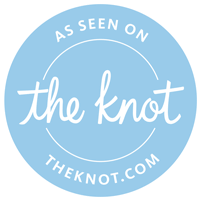 And the staff is professional, helpful and friendly. 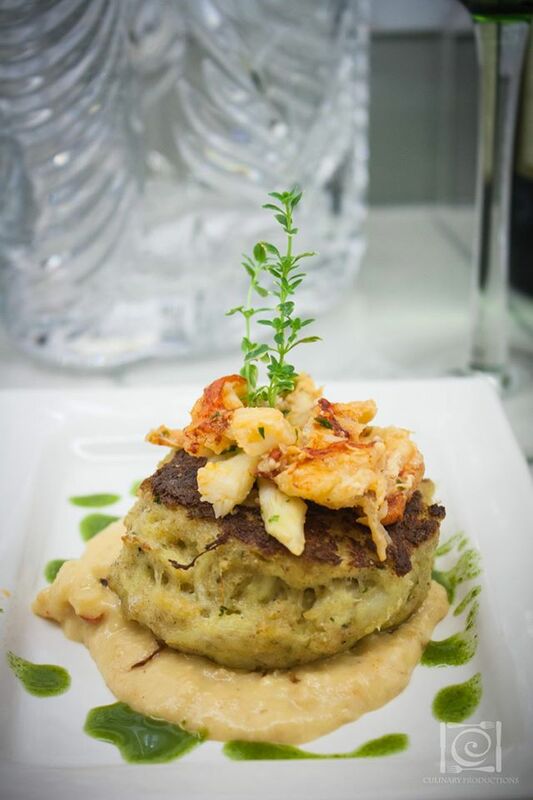 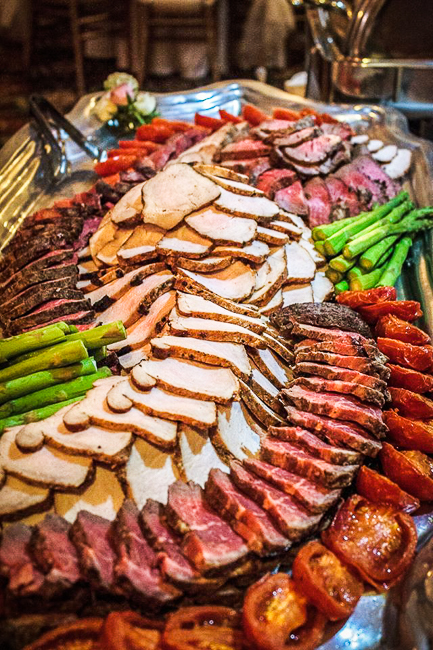 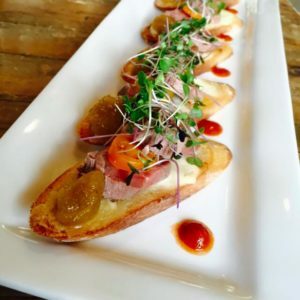  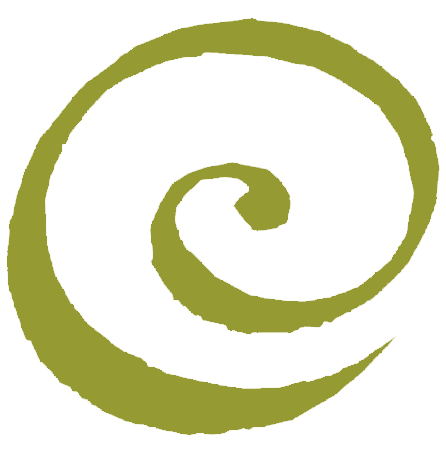 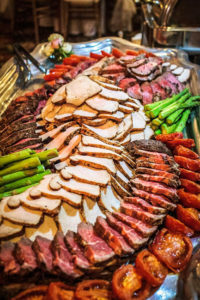 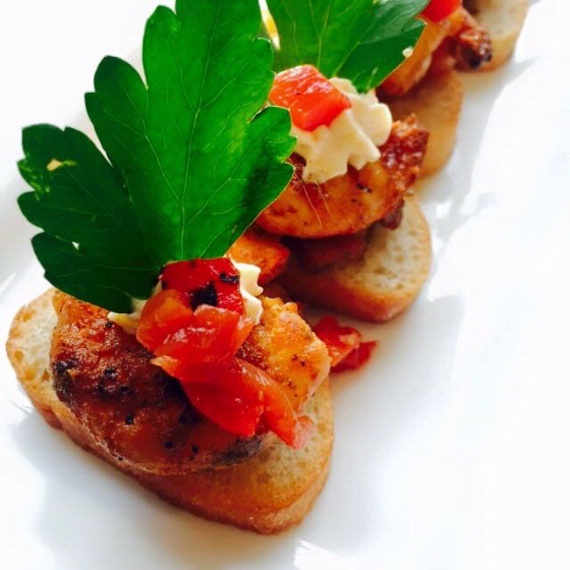 We absolutely recommend that you use Culinary Productions for your next special event."